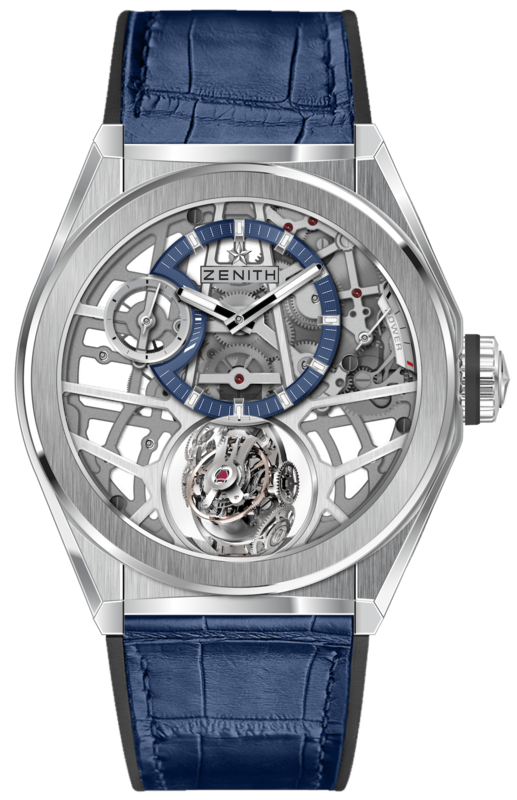 It should not come as a surprise that Zenith is pushing the limits of watchmaking yet again, but to find them looking to ignore the laws of gravity – now that’s a first. 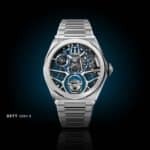 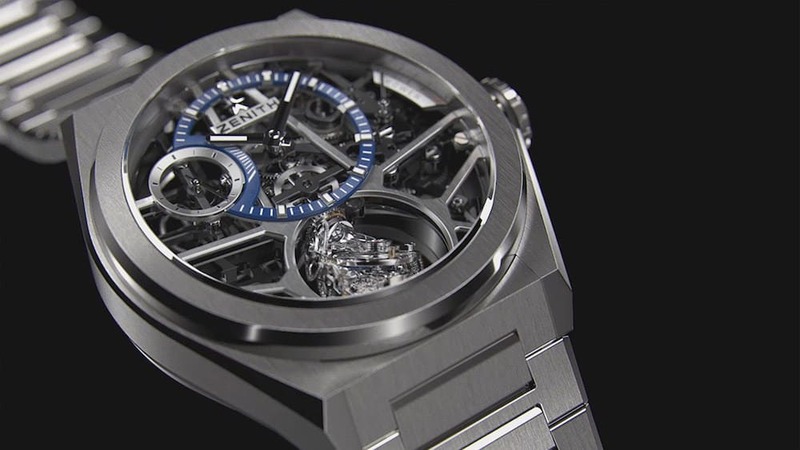 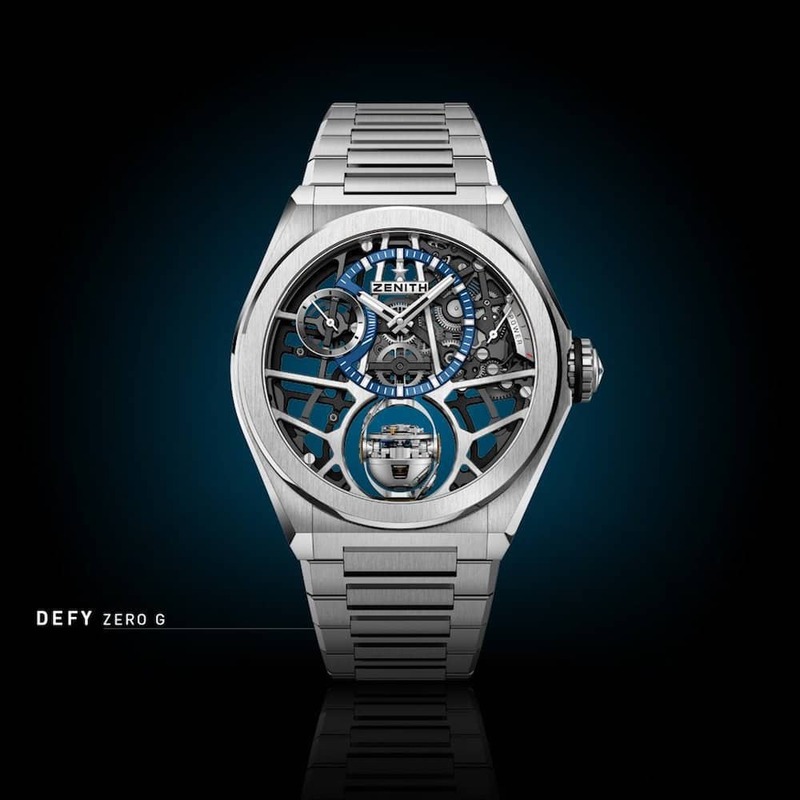 The new Defy Zero G watch is the latest addition to the DEFY collection, a breathtaking timepiece that features a downsized and optimized gyroscopic “Gravity Control” module alongside a skeletonized and grey-toned high-frequency El Primero calibre. 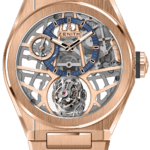 Basically, this means the module cancels the effects of gravity by maintaining the regulating organ and the balance wheel in a horizontal position. Does that sound too complicated? 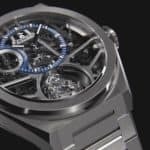 The Zenith Defy Zero G displays a sleek 44 mm case, available in either titanium or pink gold, with an ergonomic metal bracelet or a rubber strap coated with alligator leather finishing everything off. 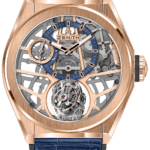 The gyroscopic module has been squeezed between two flat sapphire crystals and we’re still wondering how did they manage to do that. 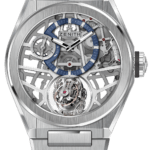 The Defy Zero G is powered by the manual-winding El Primero 8812S calibre, that comes with 324 components and a 50-hours of power reserve. 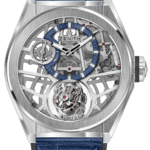 The skeletonized, black rhodium movement is on display from both sides of the watch, creating a wonderful contrast with the light tone of the slim branches that resemble the Zenith star symbol.. Is this enough to get you interested?